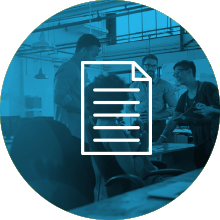 Automate all integral parts of the AP process including invoice capture, purchase order match, invoice approval, payment approval, and payment execution. You can set up MineralTree in a matter of hours. Connects NetSuite with your business bank account to execute vendor payments without changing your accounting process. 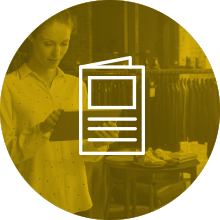 Seamlessly integrated with NetSuite, MineralTree Invoice-to-Pay automates the three critical aspects of the AP workflow. Automated Invoice Capture and Approval: With MineralTree, you can automate invoice capture and get invoice approvals online. Purchase Order Matching: Two-way PO matching allows AP staff to match PO lines to invoice line items once the invoice data has been captured. Upon approval, invoices sync back to NetSuite with the correct PO association. Effortless Payment Approval: Eliminate stacks of paper invoices and checks. Your CFO can approve payments from anywhere. Secure Payment Execution: Automatically prints and mails checks and connects with your bank account for ACH origination, ensuring security and accuracy, and no settlement account. Earn rebates by paying vendors with MineralTree's Virtual Card program or your corporate credit card. Not an IT project: You’ll be up and running in hours. Increase efficiency and streamline your AP operations by automating invoice capture, enabling online invoice and payment approvals, eliminating manual check issuance, and simplifying electronic payments. Cut end-to-end invoice and payment processing costs. Keep your business safe from internal and external fraud with two-factor authentication and payment verification, payment limits, an audit trail of key steps, and integration with your bank’s Positive Pay system. Real-time data synchronization with NetSuite. MineralTree has enabled us to automate our bill payment process. It was very important to us that our accounting system — NetSuite — had an integration feature with our provider. It makes our processing that much more seamless, and makes it an attractive offering for us. We can get more work done with fewer people. 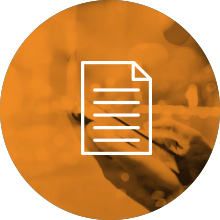 Automate all integral parts of the AP process including invoice capture, purchase order match, invoice approval, payment approval, and payment execution in one simple interface. You can set up MineralTree Invoice-to-Pay in a matter of hours. PO matching for NetSuite allows a company to send all invoices, derived from POs and not, through the same invoice capture process. When PO-based invoices are captured, users have the ability to match the capture invoice line items to line items on POs that were entered in NetSuite. No more coding invoice lines since the coding from the PO is copied to the invoice once they’re linked. When the invoice is posted back to NetSuite, it’s linked to the PO. Once a PO has been fully billed, the record in NetSuite is closed (just as if the process had been followed entirely in NetSuite). Depending on company’s policies, users have the ability to route (or not route) invoices derived from POs for approval. Extract important vendor information from paper and electronic invoices and then route for approval from anywhere. Once an invoice is scanned into NetSuite or created directly in MineralTree Invoice-to-Pay, use MineralTree Invoice-to-Pay to request bill approval. You can also add comments and attach supporting documents to further streamline the process. The traveling CFO no longer holds up the payments process. With MineralTree Invoice-to-Pay, you can review, approve, and process payments from your tablet or desktop computer. Once payments are approved, checks are printed and mailed, ACH files are directly transmitted to your bank for origination, virtual cards are securely sent, and remittance detail is sent to the vendor. Executed payments are posted back to NetSuite and applied to the corresponding invoices with the appropriate check number. Vendors paid via MineralTree's Virtual Card program qualify for quarterly rebates. 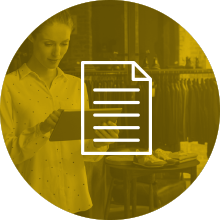 MineralTree Invoice-to-Pay enables you to completely eliminate paper from your office. 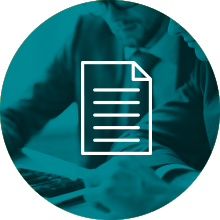 The document management functionality features unlimited storage and lets you easily store and access all supporting documents needed for your AP department. MineralTree Invoice-to-Pay for NetSuite enables businesses to pay vendors by check, ACH, virtual card, or their own corporate credit card. MineralTree integrates directly with a company’s bank account and eliminates settlement accounts for check and ACH payments. Additionally, businesses are able to earn rebates and cash back rewards by processing vendor payments on virtual cards or their own corporate credit card. For all electronic payment methods, remittance details are automatically sent to vendors. For more information visit www.mineraltree.com.